If there is one thing that defines businesses in the 21st Century it is the pace at which technology is progressing. Everything seems to take place at the blink of an eye. Just when some companies are taking their baby steps to hire a mobile app development company, others are thinking about converging cloud computing solutions with mobile and big data. In fact this has been long due since the time businesses across industries started thinking on the lines of BYOD (Bring Your Own Device) model that offers flexibility and expedites decision making. Convergence also leads to better collaboration between different individuals and teams in any organization. As a business before converging Cloud, Big Data and Mobile, here are a few things that you should consider. Cloud computing has helped businesses reduce the need on hardware, but there is still a lot of IT hardware in your premises and there is no way you can ignore them. Is your hardware ready for transition, and would it be able to offer you optimum performance when you unify different entities? You may need to carry out a detailed audit on your entire IT infrastructure to ensure that they meet your needs. While every business wants transition to a new technology to be smooth, there are always unaccounted hiccups on the way. There is little that you can do to prevent these surprises but you need to prepare a detailed plan that covers all the risks and challenges during the transition phase. The company that is working on your convergence project would be able to guide you through this process smoothly. Technology is as good as people who are using it every day at the workplace. 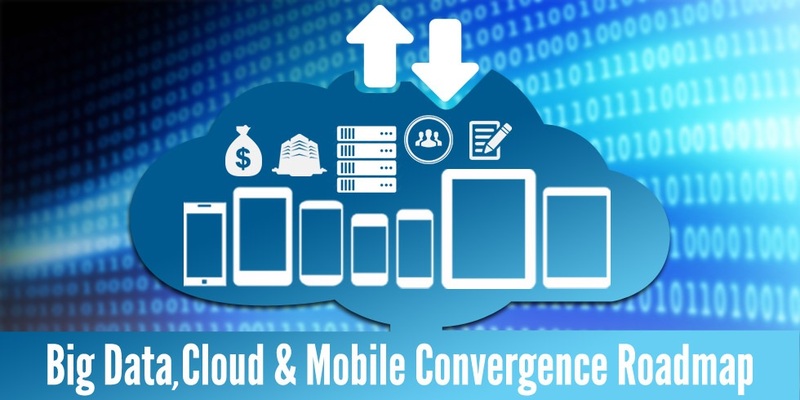 While convergence of mobile, big data and cloud can infuse new efficiency and productivity into a business you also need to consider if your employees are up for this change. While convergence does allow you to reduce your headcount you also need to think about how to train your employees in this new ecosystem to help them adapt easily to this change. Like all business decisions the last and one of the most important things to consider is the entire cost of this transition. While convergence would help in cutting down operational costs in the long run but you also need to ensure that you can recover the input cost within a targeted time period. As a business you would need to sooner rather than later work towards converging your cloud, big data and mobile solutions. But, this requires a tailored strategy and you need to hire a professional team. If you are looking for a company that has expertise in cloud computing solution , mobile app development and big data solution and can seamlessly integrate them, then Semaphore Software would be a qualified choice. We have done this for many companies in the past and can do it for you as well. Write to us at info@semaphore-software.com and we will answer all your queries.